I’ve been knitting on my Bex socks almost exclusively this week. Today, it’s the only project that I’ve touched. Past the gusset decreases now. Kinda worried about running out of yarn. 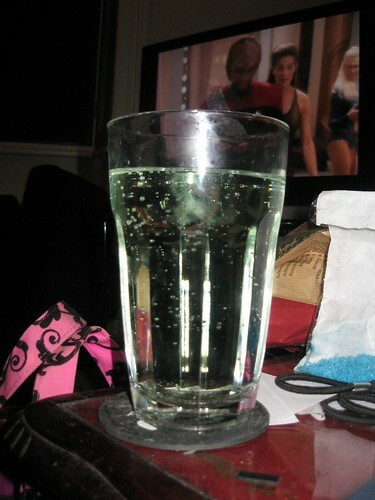 So to steel myself against that possible eventuality, I’ve made my self a drink: Apple Sourz and lemonade (the British kind, sort of like Sprite).